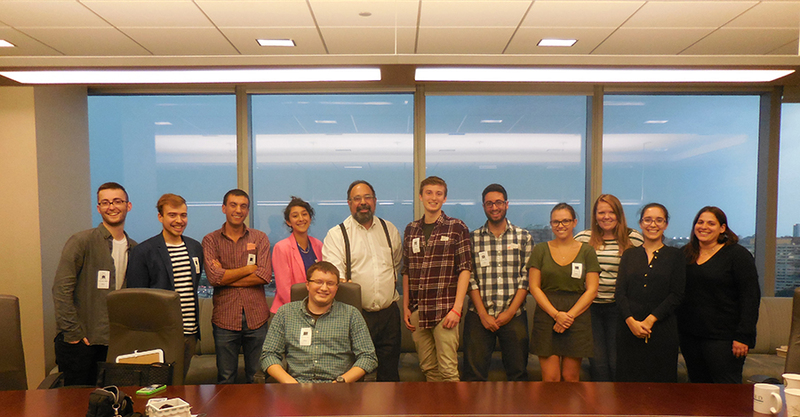 Reger Rizzo & Darnall’s Philadelphia Office recently hosted students from The John Glenn College of Public Affairs for an educational meet and greet. During the meeting, Immigration Attorney Mandi Bucceroni and Senior Litigation Partner Steve Leventhal provided the students with an overview of the legal profession, offered advice on entering law school, and provided insights into life as an attorney. The John Glenn College of Public Affairs offers an exciting opportunity for Ohio State students to study and work in the nation's capital through The Washington Academic Internship Program. The Program selects outstanding undergraduates to spend a semester in Washington, D.C. as John Glenn Fellows, while remaining fully registered Ohio State students. Students earn academic credit hours for their internship, the research seminar in which a policy paper is developed, and a course on policymaking and public service in the Washington community. Students will deepen their understanding of policy issues through weekly policy salons with experts.